Company also scored in API/Web Service Testing, End-To-End Testing and Open-Source-Based Testing Acceleration use cases. Andrea Lodolo, CTO, CA Southern Africa. CA Southern Africa has announced that CA Technologies has received the highest product scores for both the Continuous Testing and API/Web Service Testing Use Cases in Gartner's "Critical Capabilities for Software Test Automation*" report. Gartner's research assessed 10 software test automation tools for five uses cases - two of which CA achieved the highest score (Continuous Testing and API/Webservices Testing) and second highest score (End-to-End Testing). CA also scored 3.78 out of 5 in the Open-Source-Based Testing Acceleration Use Case. 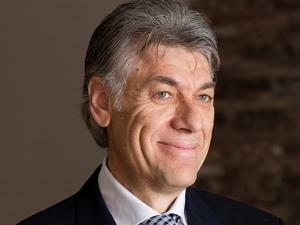 "To thrive in the application economy, companies need to delight their customers with an outstanding user experience, which is a direct result of DevOps adoption and the use of continuous testing across the software development lifecycle," says Andrea Lodolo, chief technology officer (CTO), CA Southern Africa. "We feel that Continuous Testing is critical to building a modern software factory to help organisations deliver better apps faster, and in our view, Gartner's valuation validates CA's industry leadership in delivering end-to-end Continuous Testing solutions." Continuous Testing goes beyond automation and encompasses every practice of testing, from planning to production, to uncover and fix unexpected behaviours as soon as they are injected. As the industry leader in Continuous Testing, CA Technologies is the only vendor that offers true end-to-end, Continuous Testing including functional, performance and security across the entire application lifecycle. In the report, Gartner recommends that application leaders who are responsible for modernising development, "Implement an open-testing strategy and choose tools that offer support for open-source frameworks and APIs as well as cloud delivery in order to maximise available knowledge and flexibility." "With the digital economy and smart apps becoming a mainstay, application engineering is going through a significant shift characterised by speed, user gravity and proximity to business," said Arun Melkote, global head of Quality Engineering and Testing Services at Wipro. "We feel that CA Technologies' leadership in Continuous Testing coupled with Wipro's leadership in Quality Engineering services brings significant synergies to enable success for our customers in their Continuous Testing journey and their digital transformation as a whole." "To us, this Critical Capabilities report validates the Tech Mahindra and CA Technologies' go-to-market focus in the Telecommunications marketplace," says Manish Vyas, president, Telecommunications Business at Tech Mahindra. "Software transformation across the network, IOT, IT, customer experience and digital areas is key to the success of our joint clients. From our view, this report shows CA Technologies' continued leadership in the Continuous Testing and API Testing space." "Meanwhile, the adoption of DevOps has increased the need for high levels of automation and puts pressure on both testers and developers alike, Sogeti is helping our customers adopt and deploy Continuous Testing methodologies with the right people, processes and technologies throughout the SDLC by leveraging CA Technologies," said Sanjeev Agarwal, senior vice president, Strategic Alliances and NA sales leader, Sogeti. "We are proud to be a partner of CA Technologies. CA offers one of the most complete Continuous Testing stacks and helps us deliver strong results to our customers, accelerating their digital journeys", said Anand Moorthy, VP - Testing Practice of Capgemini. To receive a complimentary copy of the report, please click here. To learn more about CA's Continuous Testing solutions, visit https://www.ca.com/continuous-testing. CA Southern Africa enables companies to embark on a frictionless digital transformation journey necessary to seize the opportunities presented by the application economy. Today, software is at the heart of every business, in every industry and it assists its customers - through the use of modern technology, to change the way we live; transact; and communicate across: mobile; cloud; distributed and mainframe environments.